(Federal Efforts To Supply Surplus Military Weapons And Equipment To Domestic Law Enforcement Agencies) “The militarization of American policing has occurred as a direct result of federal programs that use equipment transfers and funding to encourage aggressive enforcement of the War on Drugs by state and local police agencies. One such program is the 1033 Program, launched in the 1990s during the heyday of the War on Drugs, which authorizes the U.S. Department of Defense to transfer military equipment to local law enforcement agencies. “War Comes Home At America’s Expense: The Excessive Militarization of American Policing,” American Civil Liberties Union (New York, NY: ACLU, June 2014), p. 16. Domestic Law Enforcement And Military Surplus Weapons Made Available Through Federal 1033 Program. “The Department of Defense operates the 1033 Program through the Defense Logistics Agency’s (DLA) Law Enforcement Support Office (LESO), whose motto is ‘from warfighter to crimefighter.’ According to LESO, the program has transferred $4.3 billion worth of property through the 1033 Program. Patent US7784390B1 – Solid-state non-lethal directed energy weapon. Weapon Is lethal with repetitive focus or turned to a higher setting. THE FACT IS, “THE PROGRAM” IS A NEVER-ENDING AND HAS BEEN HISTORICALLY DESIGNED, FOR ONGOING SOCIAL AND MASS POPULATION CONTROL EFFORTS BY VARIOUS HIGH LEVEL AGENCIES WITH TODAY UNIFIED MILITARY TECHNOLOGICAL METHODS. THE COLD HARD TRUTH IS THIS GLOBAL POPULATION CONTROL EFFORT,AND THOSE IN HIGH PLACES AT THE HIGHEST ECHELON BY APPROVAL DO NOT GIVE A DARN ABOUT THEIR ENFORCER PUPPETS EXCEPT FOR THE PURPOSE THEY SERVE. Through U.S. Code, Title 50, Chapter 32, Section 1520a (below), it is “LEGAL” for the government to test chemical, biological, and radiological elements on humans under the “Exception Clause” approved for the military and law enforcement. 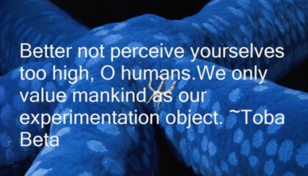 Unstated is that anyone can make allegations, then without “Due Process” Constitutional, Civil, or even basic Human Rights, men, women to include children, can be placed into this high-tech psycho-physical ongoing human experimentation program and used as a human guinea pig. Children, in the early stages of development can be used to further experimentation for future social and population control. It leaves in the hands of the President or Defense Secretary a nearly unrestricted authority to declare people “Unlawful Enemy Combatants.” In other words to silence anyone or protest! And, as shown in the link, after labeling, anyone labeled as a “Combatant” target then can be lawfully attacked and even murdered. UNDERSTANDING MCA “Unlawful Enemy Combatant” definition below. Also governs “Signal Intelligence Gathering” states that the intelligence gathering may not extend 90 days without consent or notice. 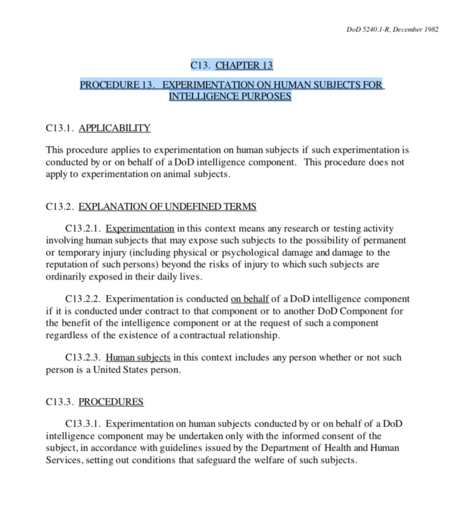 In relation to the U.S. Department of Justice’s statute on Electronic Surveillance, “Section 9-7.302 (Consensual Monitoring—Procedures for Lawful, Warrantless Monitoring of Verbal Communications)” will likely not be applicable as collecting words from brainwaves does not fit the definition of “verbal communication” provided although this act also limits warrantless surveillance to 90 days and 180 days if evidence requiring it is there. Commonly known as the “Patriot Act”) is an Act of the U.S. Congress that was signed into law by President George W. Bush on October 26, 2001. The title of the Act is a contrived three letter initialism (USA) preceding a seven letter acronym (PATRIOT), which in combination stand for Uniting and Strengthening America by Providing Appropriate Tools Required to Intercept and Obstruct Terrorism Act of 2001. The Act dramatically reduced restrictions on law enforcement agencies’ ability to search telephone, e-mail communications, medical, financial, and other records; eased restrictions on foreign intelligence gathering within the United States; expanded the Secretary of the Treasury’s authority to regulate financial transactions, particularly those involving foreign individuals and entities; and broadened the discretion of law enforcement and immigration authorities in detaining and deporting immigrants suspected of terrorism-related acts. The act also expanded the definition of terrorism to include domestic terrorism, thus enlarging the number of activities to which the USA PATRIOT Act’s expanded law enforcement powers can be applied. Just before the midnight deadline on May 26, 2011, President Barack Obama signed a 4-year extension of three key provisions in the USA Patriot Act: roving wiretaps, searches of business records (the “library records provision”), and conducting surveillance of “lone wolves” — individuals suspected of terrorist-related activities not linked to terrorist groups. Could big dollars finance COVERT “BLACK BUDGET” TARGETING today, reported nationwide, happening in civilian communities using also DOD contractors? $52.6 billion – The Black Budgetfor Covert action. Surveillance. Counterintelligence. The U.S. “black budget” spans over a dozen agencies that make up the National Intelligence Program.